"I was trying to take photos with my newly bought iPhone 7 Plus but the camera open and says iPhone cannot take a photo because there is not enough available storage. My iPhone storage is 32GB, but I don't have too much files in it. How to fix an iPhone that won't take pictures?" Recently, some user complained that they cannot take photos on iPhone 7 and 7 Plus as there's an error occurred saying not enough storage. 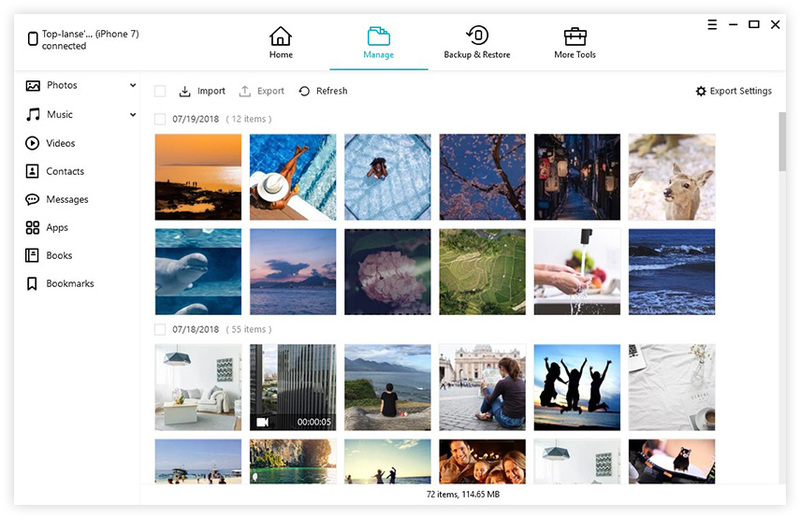 Delete some pictures or large albums from iPhone can be the first thought, but most people may want to keep their favorite photos. That's why we recommend you - Tenorshare iCareFone, professional iPhone data managing tool to transfer iPhone photos to computer and clean out all the unnecessary files to free up much storage space. When you cannot take anymore photos on your iPhone 7/7 Plus due to not enough storage, the first fix is to check the usages and delete all the unnecessary files. Go to "Settings" -> General, choose "Storage and iCloud Usage". Choose "Manage Storage" and you can see a list of the apps in your iPhone, tab those applications you don't need and press "Delete app" to delete them. Note:Apps using the largest amount of storage are shown at the top. If Photos & Camera is on the top of the list, you need to move some of the photos and videos from your device to computer if you don't want to lose any of them. If you don't want to delete your apps or other valuable data in your iPhone, you can transfer all the photos, videos, apps to computer with Tenorshare iCareFone. Step 1: Download and install Tenorshare iCareFone. Connect your iPhone to computer via a USB cable and launch the software. When your iOS device is detected, choose "File Manager". Step 2: Now there are 9 types of files are optional, choose "Photos" and the software will automatically load out all the pictures in your iPhone. Step 3: Choose the photos you need and click "Export" to save them in your computer. 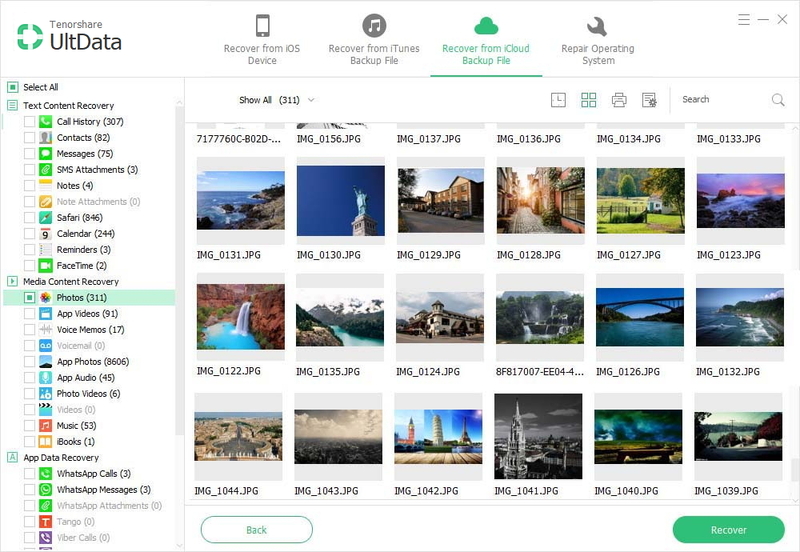 Now you can delete the pictures from your iPhone to free up some storage. Delete the unnecessary files from iPhone manually cannot clean out all the cookies completely. Try to speed up and clean your iPhone 7 with Tenorshare iCareFone. Step 1: Choose "Speedup & Clean" and then click "Quick Scan" to scan all the junk files on your iPhone. Step 2: After scanning, all the junk files will be list out, click "Clean" to get a neat iOS space. When iPhone says not enough storage but there is, the problem may not actually relate to storage. Erase all setting can be the ultimate solution. Just go to Settings > General > Reset > Erase all content and settings, set it up as new. Now you can take photos to capture the memorable moments with your families and friends. In the end, we highly advice you to transfer your precious photos to computer from time to time, that will keep your iPhone storage always available. Hope the methods will help!